L2Code CSS is a universal application. It provides you with tutorials and step by step practices. 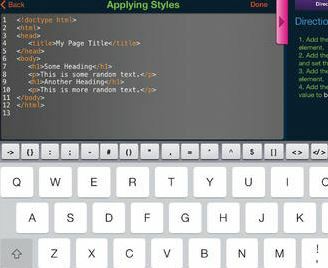 You get a text editor to practice what you are learning. Want to keep your practice sessions for future reference? No problem. You can also import files from your email and edit them in the app. It is also possible to upload what you make to your website. L2Code CSS is not going to make you a CSS genius. No training course does. 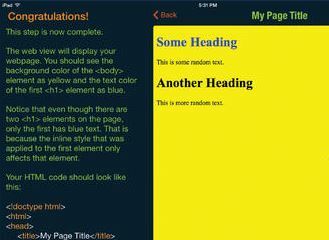 You need practice and real experience to learn the ins and outs of CSS. But this app does help you improve your skills.